San José, Costa Rica. fDi Magazine, a publication part of the renowned publishing group The Financial Times, recognized Coyol Free Zone in 4 categories of the Global Free Trade Zones of the Year Awards 2018, an annual publication that evaluates aspects such as expansion, location, facilities and incentives, aspects of special relevance for investor groups around the world. 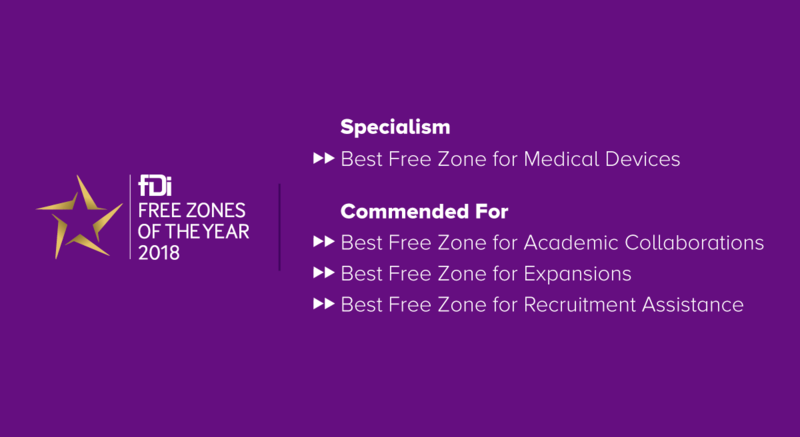 This year, Coyol Free Zone participated amongst 65 free zones from all continents and the jury awarded it with 4 recognitions: Medical Equipment Specialization Prize, Best Free Zone for Expansions, Best Free Zone for Academic Collaborations and Best Free Zone for Recruitment Assistance. The award is the result of an investment of over $ 400 million with special emphasis on sustainability to develop a specialized hub in medical device manufacturing in Costa Rica. Previously, Site Selection also recognized Coyol Free Zone as the best in Latin America and the Caribbean. In Coyol Free Zone 27 world-class companies operate, 8 of them are part of the top 30 of Life Sciences companies in the world such as Medtronic, Cardinal Health, Philips, Abbott, Smith & Nephew, Microvention-Terumo, Hologic, among others. “Coyol Free Zone has a clear development strategy that led the country to generate $ 1.430 million in exports in 2017, that is, 28% of exports of the entire Free Trade Zone Regime and 51% of national exports of Medical Devices.” said Carlos Wong, CEO and General Director of Coyol Free Zone. One of the main benefits of Coyol Free Zone is the talent and commitment of its 12.000 collaborators, a fundamental element for Life Sciences and Advanced Manufacturing. To meet this growing need, the free zone has developed training programs such as Intégrate a Coyol, which seeks to raise the level of employability of people living in the main areas of influence of the park, through training in technical competencies, and skills required to have a career in the medical industry. In addition, for the investment groups, Coyol Free Zone represents an opportunity to create and maintain harmonious development with the environment, with first-class infrastructure and LEED-certified buildings. fDi Magazine is a publication aimed at multinational companies (MNIs) and executives with decision-making capacity, companies with interests in expanding or investing in a free zone.